Oh, I love embroidery and just like Gail, I love to see sayings in embroidery! I am an intermediate embroiderer!!! Thanks for the give away! I have been embroidering for about 40 years, but I’m still learning! Not an expert, but not a beginner.. and I love these different, fun embroidery ideas! I used to be an expert, but sadly I have put it aside. I guess I have to go back to the beginning!🙁 I do love to do machine embroidery, does that count? Oh, so adorable! I love embroidery and quilting and these projects are wonderful. I am still learning!! I have embroidered since I was 5 years old, so I am pretty good. I love including words on a quilt – I name all of mine, do you? The biggest project I did was embroidering the"30 days hath September" verse around the perimeter of a calendar quilt. I love embroidery. I love to watch it become something I really enjoy looking at. I’m not an expert but I have done a few. I would say intermediate level. I do love combining patchwork and embroidery and don’t do enough of it. It is fun and portable and everyone admires the sweet little projects. I love embroidery, and still have more to learn. I love Gail’s designs ~ so simple, yet so powerful. Even though I have been stitching many years and have learned a great deal, I do not consider myself an expert! I love embroidery and am always learning. I love embroidery and an still learning. This book looks like a lot of fun. I am a beginner and would love to learn more about doing it. It adds so much to a piece..
I’m definitely still learning embroidery techniques. I consider myself "always intermediary" and look to designs like Gail’s for inspiration! I am still learning embroidery,and loving it! Gail’s designs are so amazing! I love embroidery and still have more to learn. I love the idea of the interchangeable seasons!!!!! Wow. I love embroidery; learned more than 70 years ago from my grandmother. Gail’s designs are just delightful, and I love her unique combinations with quilting. Would love to win her new book! Thanks for offering it. I love embroidery and still learning. Gail’s designs are beautiful. I’d like to learn more about embroidery with Ms. Pan’s book! It looks like fun and the projects are sweet. What could be better than embroidery and quilting?! Embroidery adds just the right finish. I love embroidery, but still have a lot to learn and I know Gail is the right one to give instruction. I love embroidery combined with quilting! I am not an expert, but do have some skill. The projects in this book are such fun! I do love embroidery, but have a lot to learn. Love this book!!! I enjoy embroidery but I don’t consider myself expert. Gail Pan’s designs are just my style. I love embroidery but I still learn things all the time. Gail’s designs are so wonderful. P.S. I just went to a 90th Birthday celebration this past Sat. On display was the birthday girl’s first embroidery–from age 3 1/2! Now that was impressive!!!! I have rekindled my love of embroidery in the last few years and now can’t get enough, although I’m certainly no expert. I also love to combine embroidery with quilting. Somewhere in the middle. Been stitching for decades and have the basics down pat, but really haven’t experimented with specialty stitches. I know a few stitches and enjoy incorporating small bits of embroidery in my patchwork at times. I love Hall’s books. I would consider myself an intermediate embroider but don’t spend enough time with it. I’ve been embroidering for many years, but will always feel that I’m still learning. I love embroidery, and Gail Pan’s designs and projects are delightfully charming. Thank you, Martingale,for this lovely give-away! I do love embroidery and am looking for more ways to use it. I love embroidery, but still have a lot to learn. I am somewhat of a so-so embroiderer. I love embroidered words to inspire my family. I know practicing would give better results. I love the sentiments in Gail’s book. Thank you for this opportunity. 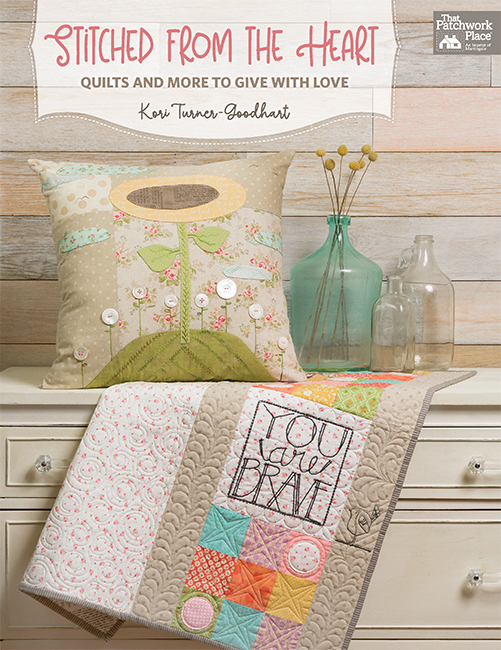 I love Gail’s patterns and have 2 of her other books and would love to add this new book to the collection. I have started embroidering once again after not doing it for 20+ years and am really enjoying it. I have some of her books and have used the patterns.I love them. Would love to have this new book also. I love embroidery, and I’m still learning! Gail’s books have been so inspirational. I love her patterns. I love embroidery & still have lots to learn. One color embroidery is my speed right now, but hope to attempt multiple colors soon. I am just a beginner in embroidery but since I am a quilter I love the combination of embroidery and quilting. Beautiful patterns in this book, would love to own it! More of a Beginner. I recently started to work with wool appliqué. i have been doing embroidery since my mom taught me when i was 6 or 7 years old. i love the projects in this book. I love embroidery, and I’m still learning. I want to do more in combination with my quilting. I love embroidery, and am still learning. I learned embroidery when I was eight, and I love it. I love embroidery. My Grandma taught me my very first lazy daisy stitches when I was five. I’m still learning. I love embroidery and still learning. I certainly wouldn’t consider myself an expert, but I’m quite comfortable doing embroidery and I LOVE IT. This new book looks amazing! I love embroidery and I’m still learning. I love embroidery, and still learning more every time I stitch. I would love to have this book to make things for myself and my family. I love embroidery and I love learning new stitches. It’s portable and easy to take with me. I love Gail’s work and have some of her books. This new one is amazing! I’d consider myself a beginner. I love that this book combines embroidery with quilting. I see possibilities for all my scraps now. Hand embroidery relaxes me and I am learning new stitches beyond the basic / foundation stitches. Book will inspire me! I love embroidery, and I’m still learning what wonderful effects it can give to any quilt. I’ve love embroidery, especially mixing it with my quilting. I still have a lot to learn! I’ve been doing embroidery since childhood, off and on. Love Gail’s designs – I have all her books and look forward to this one, too. 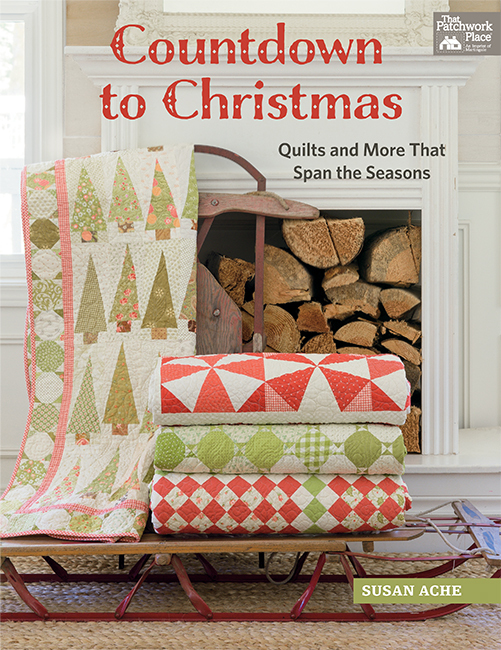 I’ve been embroidering for years, but I’ve never transferred that to quilting – I would love to win this book and use it as a jumping-off point to combining the two! I started stitching when my cousin taught me basics at 10 years old, then did a lot more in my teens in the late 60s and early 70s. Especially loved crewel, made a LOT of those small Jiffy kits and some original things. But I don’t know that I’d consider myself an expert – I’m sure there is still lots to learn. It’s very relaxing and I love the finished product! Probably why my favorite quilts are appliqued…more hand stitchery! I love to embroider and learned how when I was a child. I learn something new from each project that I create. The patterns from this book look like fun! I love embroidery and am still learning. I learned embroidery as a child and went thru a phase with crewel work and counted Cross stitch, then gave it up for years. A couple of years ago I made an embroidered quilt and fell in love with it all over again. Love the combination of embroidery and quilts. I love embroidery, and still learning. I love text in quilts & embroidery! I started my first embroidered piece when I was a small child and still have it! It will hang in my newly updated sewing studio to remind me of younger days & beginnings! I love embroidery but I am still learning ! I like the portability of these projects. The seasonal projects are beautiful ! I love embroidery but I’m still new to it. This book definitely motivates me to learn even more though! I love embroidery and, hopefully, I am still learning! I am in the middle between beginner and expert – stil learning. It is so relaxing to sit and stitch and wish I have more time to do just that. I love your new book and would love to win it. I love embroidery and I’m still learning! I love embroidery and patchwork. I am just starting to dabble and would love to learn more. I love embroidery but there are many stitches I haven’t ever used. I love Gail Pan’s designs. I love embroidery, and I’m still learning! My embroidery knowledge comes from my Grandmother … she taught me to embroider. Oh my, how many stitches I had to re-do!! The back MUST look like the front!! She embroidered mainly pillowcases, and many she crocheted the edging! I have many of those pillowcases today still. I love to embroider and know that she’d be so proud of me! I’ve been doing embroidery since I was 12. I love it and love learning new stitches all the time. Love Gail’s books, so inspirational. I’ve been doing embroidery for many years and still enjoy it. I love embroidery and am widely experienced with many sorts-began at about 10 years old! Beginner but I want to learn more! I am definitely a beginner when it comes to embroidery so I definitely want to learn how with Gail!! I am definitely a beginner when it comes to embroidery but I definitely want to learn how with Gail!! I love embroidery and have done it since childhood but I am still learning. I love embroidery, I’m still learning. I love to embroider-not an expert, but I love practicing and learning! I love hand embroidery, but I’m a novice! I have a lot to learn. I love these designs by Gail. It would be exciting to learn. I have embroidered for 50 plus years (ever since Girl Scout days). Still, I can say I’m still learning….. I love embroidery but I am still in the learning process. Love, love, love Gail’s design So! Thanks for the chance to win. I love embroidery but I am still learning. Embroidery somehow makes a project feel more personal. I would so love to be better at embroidery! I’m hardly ever satisfied with my stitching, so I loose momentum with my projects. I would love to learn from Gail! I enjoy embroidery but still have much to learn. Embroidery is a relaxing process that ends in a project to enjoy and share. I love embroidery and will always be learning. I enjoy embroidery, and I am still learning. There is such a variety of stitches and so many cute designs to work on! This looks like a fun and versatile book. i’m an moderate embroiderer and a pretty good quilter. love to combine my love for both primarily with reproduction fabrics. I love embroidery, and I’m still learning. I have a couple of Gail’s other books and I love her designs. Her new book looks wonderful! I Love Embroidery, and still learning. Thank you for the opportunity to win Gail’s latest book. I love her designs! I enjoy embroidery and still have lots to learn. There is such a variety of stitches use and fun patterns to work on. This book looks fun and versatile! Thank you! I’ve been doing it since the 1970’s. Does that make me an expert? when a dear friend showed me how to stitch. Would love to win your new book. I love embroidery, and learn something in every project. I love embroidery and can do most of the stitches, but I’m always learning. Beginner – but now I want to learn how with Gail! This book/these projects are so precious! Really makes me want to learn!! I am far from expert but I have done embroidery for years. It’s a great take along project. I love Gail’s designs and own her books. My embroidery world consists of doing fun things on my embroidery machine. I would love to have the knowledge and expertise to accomplish beautiful things working in hand embroidery. After all, you just can’t take an embroidery machine with you, and your hand embroidery projects can follow you anywhere. What great examples you have shown. I love to do embroidery but still have a lot to learn. The projects in the book are adorable! I wouldn’t call myself an expert, but I’ve been doing it since I was 5 or 6 (about 60 years ago!). I’m still learning new stitches! Hi,I love embroidery, and I’m still learning. Love the ‘Give Thanks Mini’! Thanks Martingale for a neat giveaway! Not an expert but I love to embroider! I am not a beginner but I am certainly not an expert. I love to learn new stitches and always like a challenge! I love to embroider, but I think even an expert is still learning (not that I qualify as an expert!) I have Gail’s other 3 books, but not this one. Her work is so fresh and homey! I am just starting on this journey but I love it soo much. I can’t wait to keep developing my craft. I used to embroider when I was a kid, but I am out of practice, so I guess I would be a "beginner" again…but I would LOVE to learn again. Beautiful embroidery stitches would great to add to my skill set (which itself is rather limited, but not for lack of trying)! I love embroidery and started as a child. I wanted to learn how to "make stuff ". Handwork is relaxing after a long day and there is a sense ofaccomplishment. Thanks for the giveaway! No expert, for sure, but I started really young and am still at it MANY years later! I am still learning. Enjoying it immensely! Love embroidery, but hands aren’t what they used to be. These are wonderful. I love embroidery and I’m still learning. Thanks for the chance to win! I love embroidery but don’t do it often enough. I’ve always loved embroidery and am pretty good at it, but there are always new things to learn. Gail’s new book looks wonderful! I love embroidery, and I’m still learning. I did a lot of it when I was younger. I have picked it back up again and really enjoying it. If longevity makes you an expert then I’m an expert! Been embroidering since I was 5. Love to embroider and embellish! But there’s always something to learn, or try! I learned embroidery as a child and still enjoy simple stitching the most. It’s meditative and soothing for me. I love embroidery and am still learning. Just finishing a piece that I started more than 40 years ago–you know one of those that you pick up and put down through the years. I love to do embroidery especially in the plane when I travel Love to combine the embroidery and quilting. I love embroidery. Of course, no one can learn too much and I’m always learning! I’m not an expert, but I certainly enjoy adding embroidery to my quilting! I love embroidery, and I’m still learning. I just took a class to include colored pencils with my embroidery and that was fun. It really enhanced it. I love embroidery, and I’m still learning and I guess I always will be as I am always finding new embroidery stitches to do on various craft sites. I am loving and learning. This book looks fascinating! I am not a beginner but I do have many stitches I would love to learn! My level of embroidery expertise, I’ve been an embroiderier since I was a teenager. I love embroidery, and I’m still learning. Thank you for this chance to win this awesome book. I love embroidery! I think I still can learn new things especially ways to incorporate embroiderystitching into other projects. I learned to embroider years ago, just haven’t done much of it lately. Would love to get reacquainted with the help of Gail’s book and her wonderful examples! I’m a pre-beginner but am ready to learn! Since I did my first embroidery pieces in elementary school and today I turned 60 I’d have to say that I’m pretty close to expert. I adore any kind of handwork. This book is on my wish list. I love embroidery but am not an expert. I think there is always a new stitch or technique to learn! I am a beginner and would love to learn how to make the lovely projects in the Changing Seasons book. Not an expert by any means, but so love to embroider. My grandfather used to embroider. I think it’s in the blood. This book is calling to me. I learned to embroider as a child and was pretty good at it, but haven’t done much embroidery for many years. Am getting back into it and still learning! I am a beginner but I now love to combine quilting with embroidery. I want to win this book and learn more from Gail!! I started learning to embroidery the summer between second and third grade. Gail’s work makes me excited all over again — I love to embroidery and her work is refreshing and makes me want to stop everything and get my hoop. Some experience, but sure wouldn’t hurt to learn more. I love embroidery.I am still learning. I find it relaxing and a fun hobby. I learned to embroidery when I was young but feel there is still more I can learn. I like the mix and match concept of these patterns – thank you. My mother always had needlework going when I was a child. I learned my first stitches with yarn and burlap before I was in kindergarten. I still can’t see embroidery floss without smiling and snagging more. I love embroidery but am still learning. I did embroidery when my kids were little, but as they approach their 40’s, I’d like to get back to doing that kind of handwork. Gail’s book would be a great place to start again. I am a beginner but I would absolutely love to win this as well as develop my skills. Me encanta bordar aunque no soy experta,me falta mucho por aprender como con Gail. Translation: I love to embroider even though I’m not an expert, I still have a lot to learn as with Gail. I love to embroider. I have been enjoying embroidery since I was a little girl. I am far from being an expert. I love leaning new stitches. I love embroidery and although not an expert by any means, I have done a lot and love it!! Thanks for the chance to win a beautiful book!! I love embroidery, but am not an expert. I love embroidery on quilts. It adds so much to it. I’m an expert on the stitches I do know–still learning embellished embroidery stitches, and how to use silk ribbon — Thanks for a nice Giveaway! Learned from my mom when I was young, did the pillow cases and tablecloths! Graduated to counted cross stitch, and now I combine it with my quilting, always embroider my labels and try to have some applique and embroidery on all of my gifts… thanks for the inspiration! I love embroidery. It adds such a personal and unique touch to my quilts. I’m still trying to achieve consistency, so I appreciate the more forgiving nature of organic or whimsical designs. Always learning and loving it! Love Gail’s work. Love embroidery and still learning. Years ago I did cross stitching, then moved on to quilting and machine embroidery. Now i see Jan’s books and fell in love with them. Yes, they are so portable and just so darn cute! What great projects! I love embroidery, but I’m a little rusty. I love embroidery, and I’m still learning. I really like Gail Pan’s style of embroidery patterns. I love embroidery and Gail’s designs are so fun. Not an expert but well above a beginner, there are still some stitches that I need help with. Every time I learn a new stitch, it’s almost like a kid in the candy store, I want to learn more and more. I have embroidered some. I love the combination of embroidery with quilting! I love embroidery and have been doing since age 10. It is something you never stop learning with new threads, fabrics and techniques. I am a beginner, I would love to learn with Gail! I love how she decorates with these! I love embroidery but have not done it in awhile. I am skilled but like the previous comment feel I am a bit rusty so this book would help me get started again. I love embroidery and am still learning! I love everything that Gail does And really need this new book! I have done quite a bit of embroidery but mostly the simple, primitive look. I love embroidering. My mother started me embroidering on dishtowels when I was about 6 years old–then on to pillowcases and dresser scarves. It has been many years and many projects, but will always be a joy to do. The book sounds wonderful and I would love to have a copy! Embroidery is one of my favorite crafts! The thread colors are so beautiful! I would love this book! The pictures just make you feel good and would be so appropriate for my home in the country. I love embroidery and am still learning. Pam’s designs are wonderful. I love embroidery, but I haven’t done any for a long time! This book is what I need to inspire me. I love embroidery, but I feel like I am still learning. I used to do embroidery, not lately, but I’d like to do more now; and getting a chance to try new things again is a great incentive!! I love to embroider, but I’m still a beginner and learn so nothing new with every project. I love embroidery, and have done it for years, but like everything craft related, I am , and will always be still learning. I love embroidery, and I’m still learning. —and I have a lot to learn! I used to be OK, but I’m very rusty now, so I’d class myself as a beginner. I have been embroidering a long time, but always learning new stitches. It is such a pleasure and relaxing to do embroidery projects. I first took up embroidery in the 1970’s when crewel was popular? I picked it up again a couple of years ago. I love Gail’s designs. Thank you for the chance to win this book! I don’t think I’m an expert. But, I’ve been embroidering for many years and I love every aspect of it. Not a beginner but not good either! Love Gail’s designs! Beginner; but now I want to learn how with Gail! I love embroidery and I’m still learning. Gail’s designs are beautiful. I love embroidery! Also love Gail Pan — glad Martingale found her!! I love doing embroidery. It’s very relaxing. Embroidery teamed with some patchwork is very appealing. I’ve been embroidering since I was a child. It’s been a while since I’ve started a new project but I’d like to get back into it. Beginner—but now I want to learn how with Gail! 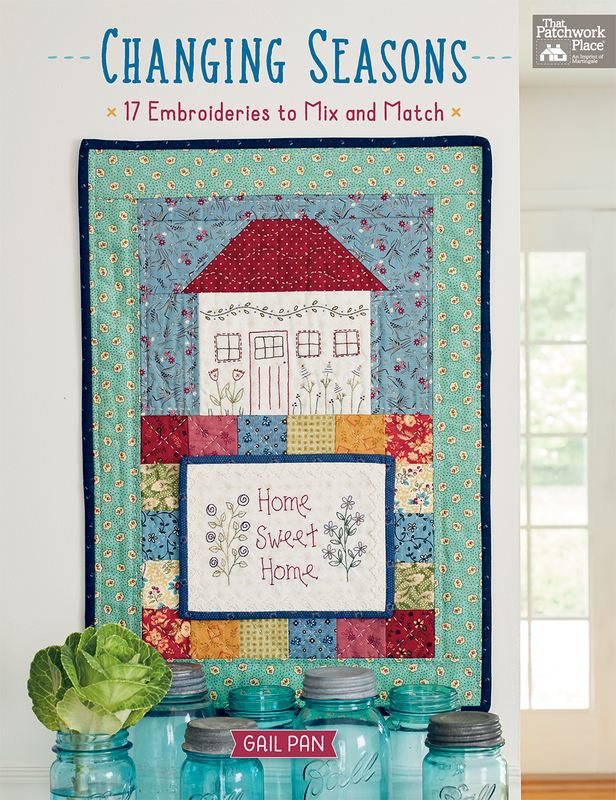 I love the simple piecing in these projects – it really creates a homey vibe. My mom (age 85) is an expert at embroidery, but I don’t do it well. My few pieces look like I pulled thread too tight. So, I haven’t enjoyed success with it and avoid it; perhaps tips in this can help me try again with success. I love embroidery and I am still learning. Gail’s designs are delightful. I like to do embroidery in the evenings, when I can sit and just concentrate on it. I’ve recently gotten back into doing it more and have learned some new stitches that I had long wanted to do. Just takes sitting down and taking the time to practice them a bit. Would love the book. I’ve done a lot of embroidery, but still have more to learn. thanks for the giveaway. I am an expert in embroidery. My mother started me off on tea towels when I was 9 years old. I embroidered and beaded a bodice (front and back) and the very long train from my young friends wedding dress. Erica Wilson is my hero. I admired my grandmother’s dollies when I was 3 and remember asking her to show me how she got so many colors on the leaves. She blended several threads together to do the needle work. I told her someday I would make beautiful embroidery as well. I told my sister when I was in the 7th grade that I was going to make beautiful quilts like were in a crafting magazine I choose from "free" magazine day in my English class. I’ve done both and have mastered them. I hope my late grand mother and departed mother smile down when they check in on me. I like handwork – hand piecing, embroidery, applique. Embroidery is so easy to pack and take. I’m learning new stitches and having fun playing "outside the lines"! I have not embroidered for many years. Do more sewing, but have decided at age 80 it is time to take up the craft again I have always enjoyed doing any hand crafts that deal with the changing of the seasons. Hopefully I will be very lucky. I love to embroider! It is easy to do at a quilt bee or on the airplane or watching tv. Learning new ways to use embroidery is something I am always looking for. I’m not an expert at embroidery and I’m not a beginner. I love to do embroidery. It’s one of those activities I find relaxing. I love embroidery, but I am still learning. I love Gail Pan’s designs – simple but beautiful. 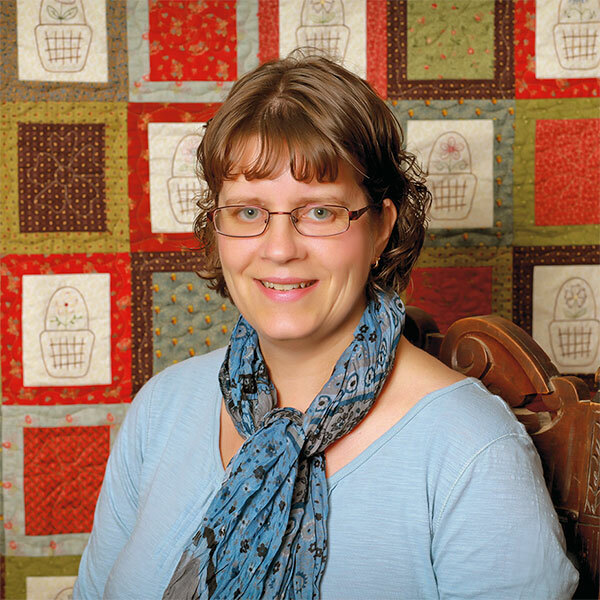 I have several of her quilt patterns and all of her books. I love embroidery , and I’m still learning. Thank you for the chance to win a copy of Gail’s new book. it looks fantastic! I love to bring embroidery into my patch work as this looks so lovely. I love Gail Pan designs. I consider myself an expert at embroidering. I have been doing this type of sewing for years and years. All the people in my quilting class know that I love to embroider and I have offered to do their embroidery work should they not want to. So far a couple ladies have asked me to help them out. ‘m a beginner & it is something I struggle with as i am not a big hand sewer…. maybe i need some inspiration! I love embroidery. I find it very relaxing. I would love to learn more. I have been doing hand embroidery for many, many years but I am nowhere near being an expert. This book would get me a little closer to being an expert I would love to be. I love embroidery and find I am always learning and trying new ways to do different stitches. It looks beautiful, Thanks for the opportunity. I want to get back into embroidery to complement my quilt toppers. It’s been a long time since I’ve done embroidery. This book is inspiring me to start again! I love, love, love embroidery! And especially with quilting! I’m a beginner but am still learning. Would love to have this book! So pretty! Have enjoyed embroidery for many years. Love these patterns. Always enjoy learning and creating something new. I love to embroidery, but I don’t consider myself an expert. I’m always learning. Gail Pan’s designs look so fun and inspiring that I would love to try them! Thank you for giving me the opportunity to win this beautiful book. I’m a beginner but I want to learn with Gail. My mother taught me embroidery years ago but I haven’t done any for years. I am very experienced at embroidery but I don’t think I’ll ever stop learning. Love embroidery and always learning. Haven’t embroidered in years, but would love to start back with some of these sweet designs. I use to do a lot of embroidery but have not done any in a long time. Glad to see it is coming back. Beginner and I want to learn more from Gail! I have embroidered for over 40 years and still like to do it! I love embroidery, and I’m still learning. This book looks like it’s full of fun ideas! I am somewhere in the middle… enjoy and will try all stitches. I’m an embroidery expert. This was closer. I am not expert, but I do a lot of embroidery. I love embroidery and have a pretty solid skill set, but I’m always learning new things! I love embroidery and I’m still learning. Love the way Gail combines quilting and embroidery! I learned to embroider as a child on a pre-stamped pillow case purchased at the local 5 and 10 cent store. I’m an old dog but would still like to learn new tricks! Love embroidery, and this book looks like it has a lot of nice designs to stitch. I love hand embroidery, and I am working on wool most of the time right now. I love hand embroidery, and I’m still learning. I started embroidering as a child, but only re-discovered it a few years ago-still lots to learn! I love embroidery and I’m still learning! I have the other Gail Pan’s books and LOVE them! Thank you Gail and Martingale! I love embroidery and add beads too! Pretty much an expert. The first thing I ever embroidered was a hand towel we did in Brownies to give to our mothers. I have a lot to learn when it comes to embroidery. I have loved embroidery since the 60’s.. Envision hippie shirt with all the bright embroidery! I really enjoy embroidery. I wouldn’t call myself an expert though, more like intermediate skill. I know all the basic stitches, which are generally enough. Gail’s work is just great, love the idea of being able to have the work interchangeable. I have embroidered for a long time but there is always more to learn! Thank you! I have been stitching over 40 years , but like most things there is always more to learn. I love to embroider and am constantly learning. I am not an expert but I am an avid stitcher. I would love to try the projects in this new book. I love embroidery work, it can be so relaxing and time to think. It is handy to take with me when traveling. Also relaxing under a shade tree, listening to the birds. That makes me want to have this lovely book. I used to love doing counted-cross-stitch, but it’s been years! I’m new to quilting, and had not seen embroidery with quilting before. I having been hand embroidering for a good part of my life and still would not call myself an expert as I feel that there is still more to learn. Love embroidery, but still learning. Especially like that Gail’s projects are doable and combine embroidery and patchwork. Already have two of her books. I love embroidery because it helps me to destress after a long day in the classroom. I love embroidery, and I’m still learning. 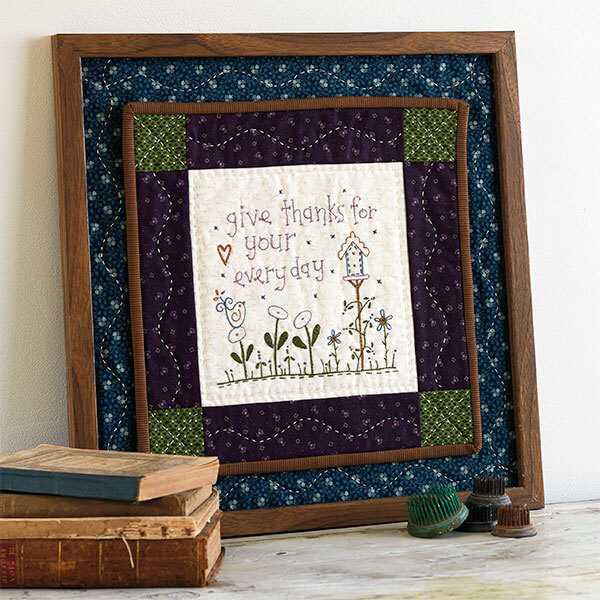 Gail’s patterns are a delight to stitch any time and any place. I love embroidery and I want to learn more with Gail!! I am somewhere between still learning and expert. I have 2 of Gail’s book and have done projects from them. Love them. A girl after my own heart. Although I have been embroidering for over 50 years I would say I’m still learning. I love any hand work combined with my first love piecing. I am an intermediate I would say…I learned as a young girl about the same time I learned to use a sewing machine. My mother taught me. I have always embroidered and now love to incorporate it in my quilted projects. I have been embroidering since I was 7, my mother and grandmother taught me and we would stitch together. Those were special moments growing up. I got away from it for a bit then picked it back up about 1 year ago. I am a intermediate embroiderer and always learning new and wonderful stitches. I love Gail Pan designs and have her other books. Would love to have this one also. I belong to the American Legion both as a veteran and a widow of a veteran, we are going to be teaching embroidery using Gail’s designs this summer to children at the youth center. Would love to have her new designs to do this. Thank you for offering the free giveaway. I love embroidery, and i’m still learning. Have done a few pieces and enjoy the process. Embroidery is my relaxation. I am certainly not an expert. With every project I learn something new. I love Gail’s patterns and have made up quite a few. Looking forward to her new book. I do love embroidery and I’m still learning. I like the idea of combining the embroidery with quilting.Great ideas! I love embroidery and I’m still learning. I am coming back to doing it after a long break and looking forward to seeing all the new inspiation. •	Beginner—but now I want to learn how with Gail! I have done embroidery for so many years in all forms….I always have a project beside me. Gail’s book looks like great fun and many ideas for new projects. Thank you! I love embroidery and I’m still learning! They book looks beautiful! I am out of practice, but am not a beginner, I could surely use a refresher ! Love your books. Still need to get this new one. I love doing your patterns. Always learning. Love Gail’s creativity! Love embroidery–and Gail’s books. Started when I was about 12, but still learning many years later. I’m not a beginner but not an expert either. 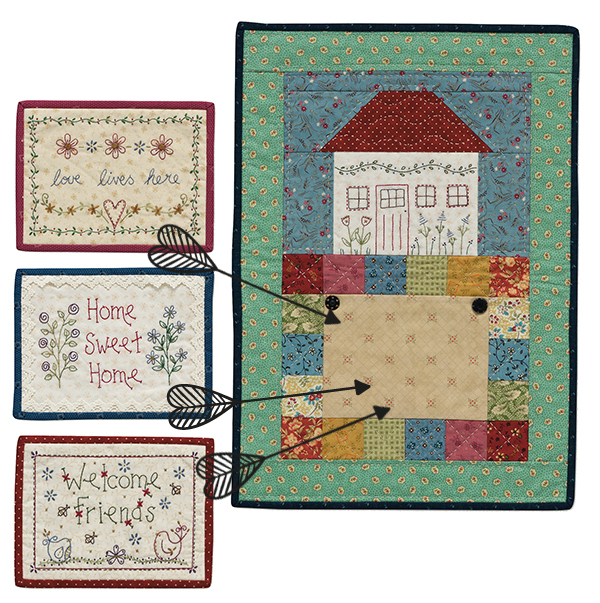 I love rug hooking, crewel, embroidery, and mini quilting. Hope I was nova copy! I am a beginner. This book would be so helpful! I am a beginner. I live embroidery mixed with pieced blocks. I love to hand embroider! I am still learning new stitches. Thanks for the chance! I love to embroider but consider my self a beginner. I love all the projects in the book! I love embroidery and am still learning. I am a beginner…have only made French knots when needed for an eye on a cute little bird! I have accomplished embroidery skills however always love to see new ideas. I love the switchable seasons idea. Could see variations on that working for me. I love embroidery I am not a beginner, but I am no means an expert! I don’t think anyone should stop learning. I am a beginner and would love to own this book. It would be so helpful to me. I love embroidery and try sew by hand every week. I find it relaxing to just sit in front of the TV and sew. I have been embroidering for many, many years and consider myself an experienced embroiderer. But, having said that, we are all teachers and we all learn new things everyday. I love embroidery and I’m still learning. It is fun to do handwork and portable too. Thanks for having this "giveaway." I like embroidery and have done it since I was a child, but haven’t done any for awhile. This book would get me back to it. I love embroidery and I’m still learning. It’s been awhile since I’ve done it regularly but I plan to do better. Learning to do embroidery! Not very good at handwork. My grandmother taught me embroidery almost 60 years ago. I haven’t done much in recent years but I think it’s time to get back to it. It’s been many years since I’ve done embroidery (as a child!) I think I’d really like to get back into it. I love embroidery, am still learning! There is always something new to learn! What a great idea! Would love a copy. I used to embroider years ago and would like to start again, but I am no expert. I’ve done a lot of embroidery…various forms of it (cross stitch, traditional, more recently sashiko). Am I skilled? Can’t say that! Have lots to learn! I love embroidery, especially hand embroidery. And I am still learning! I love this book! Thanks so much for the giveaway! Love all the possibilities of combining patchwork and embroidery. I am not an expert but Embroidery with patchwork is a favorite of mine and always looking for new ideas. Gail’s book is full of inspiration. I love to embroider and I am still learning. I need to make more time for that very special needle art. I love embroidery but I’m still learning. It’s so much fun! years but I feel there is always something more I can learn. I love embroidery! I can always learn something new. Love to embroider, but definitely still learning!! I love embroidery and how it lights up a sewing project with color, purpose, and delight. I am always learning – new stitches are fun! I’ve been embroidering for decades, and I love that there is always something new to learn! Currently stitching sashiko. I love embroidery, and I’m still learning. The world of embroidery is vast, there is always a new technique or pattern to keep me exploring further. Thank you for the opportunity to win this book – it looks great! and there is still things to learn. I love to see how a blank piece of fabric is transformed into something lovely. Its a great feeling to know I did it. I have done embroidery for years, but am still learning. I love embroidery, have been doing it since I was about eight years old, but still learn something new each time I pick up a needle and thread. Thanks for a great giveaway! This year I have been working hard to improve my embroidery,making a sampler of stitches. It’s keeping me busy, a lot of stitching going On! I use to do embroidery and counted cross stitch. I was pretty good at it and won many blue ribbons at the state fair. Sadly, today I can’t do hand embroidery because of arthritis in my hands. I have been doing machine embroidery and I do get satisfaction when the project is done. I am working on a quilt for my daughter that all the blocks were embroidered on my Husqvarna Designer Epic and I am now sewing the blocks together to finish the quilt top. I enjoy embroidery and handwork. I would say I do intermediate embroidery. I enjoy decorating by the seasons so this book is right down my alley. Way back in the "good ol’ days" up in the snow country our mom’s taught us all "that handwork stuff" to keep us of trouble when the snow got so deep you’d get lost walking to school 🙂 From doing stamped embroidery dresser-scarves and pillowcases I progressed to needlepoint and petite-point. Know days quilting and knitting take up most of my time but a fun diversion can be found with needle, floss, and muslin fabric 🙂 There’s just something satisfying about handwork. I love embroidery and almost always have a project ready to be worked on. I would consider myself an advanced stitcher! I love embroidery and I’m still learning. Thank you for the lovely giveaway and the chance to win. Very much a beginner. Recently discovered redwork embroidery which appeals to me as it’s as simple or complicated as embroiderer wishes. Think I prefer more primitive designs – not too cute. Also enjoy combining embroidery, applique and patchwork. I’m a beginner but want to learn more with Gail. I am fairly proficient in basic embroidery (started by embroidering tea towels for church bazaars when I was in Grade School. )I have quilt blocks started for an embroidered blocks quilt that have been put away for a while–maybe it’s time to get them out again!! I’m a beginner, but would like to learn more. My 95-year-old friend in a nursing home is still doing embroidery! Her hands are misshapen by arthritis. She gives me hope! I think that I will not always be able to make quilts and something smaller like embroidery will keep me happily stitching to the end of my life! I love embroidery, especially when combined with quilting! I’ve been embroidering for many years and I’m still learning new stitches. Thanks for the give away. I have enjoyed embroidery since I was a little girl, but there’s always more to learn and new stitches to try! Beginner – I have the “stuff “ and the books and patterns just need to make it a priority. I love embroidery and have practiced it for many years … and I’m still learning! I have embroidered since I was a child as my mom taught me. I guess I am at an intermediate level. I still love it, often combining it with quilting. This book looks amazing, thank you for the opportunity! I love embroidery and consider myself still a beginner. I did embroidery 20/30 years ago and then stopped for some reason. I began again a few months ago after buying one of Gail’s books. This one looks like a winner. Thanks! I am a beginner but this book inspires me to get going with it. I am a beginner and I am still learning. I have only done very small projects, like quilted coasters and embroidery in hoops. What a great idea to change the embroidered panels. I would love to learn more from Gail. Thank you so much for the giveaway. I’ve been dong embroidery for yrs, but am still learning nw things! I love embroidery and I consider myself still a learner, but beyond a beginner. The book looks wonderful–I’d love to win it! I ❤️ to embroider and have learned a lot from Gail but this book seems so special! I like the concept of adding quilted borders or framing the special quotes that have been passed down through the ages. I would really value this new book. I am a beginner but would love to learn more with Gail! I learned to embroidery from my grandma about 50 yrs ago. I love to do this wonderful handwork. Thanks for the great giveaway. I have embroidered ever since I can remember. I love to embroider and make many different stitches. Thanks. I love to embroider and know a lot of stitches but want to learn more. I’m just a beginner. Would love to learn more. I am not a beginner, but not an expert either. There.are a few things left for me to learn. That’s why I need this book. I have loved to embroider for well over 50 years now. So many new and exciting patterns, books etc to choose from. Love Gail’s new book and would really like to win a copy. I absolutely love embroidery!! Love this new book of Gail’s! See many options for gifts and for myself! Just love the simple sayings!! I am doing more embroidery with new projects but am just a step beyond what beginner. It is neat to see embroidery with quilting. I need to put some of my projects in quilt frame. hand embroidery is so relaxing and great way to work on project on a trip. I love embroidery and am always still learning. I have been following Gail ever since I got a phone/computer. I love embroidery and am always still learning. I have been following Gail ever since I got a 📱/computer. I love embroidery and there’s always something new to learn. I love embroidery, and love combining it with quilting. I’d say I’m an intermediate—still learning new things! I love embroidery, but I am a beginner. I love embroidery work. It makes your work very unique and special! Your book looks inviting. I’ve mastered a few stitches but there are sooo many yet to learn! I love embroidery and I’m still learning. As a kid I had an aunt who embroidered dishtowel sets using bleached rice bags (i grew up in hawaii) and she taught me the basic stitches. So glad to see it popular again. Would love this book! I embroidered a lot when in school and college. Have only done a little lately. Would like to do more. Thanks. I would call myself an expert serval years ago. Recently I would have to admit I am average at embroidery because of not doing as much as in years past and because of arthritis in my hands. I still like to do some embroidery but can’t for long periods of time. Expert, if you don’t count Brazilian/stump embroidery. I don’t do those, but my mother did. I love embroidery, including crazy quilt seams. I enjoy Gail’s patterns, too, so I’m delighted to see this book. That summer one calls to me a lot! Thanks for the chance to win the book. I love embroidery and still learning, that keeps it fun and exciting. I have learned a few stitches but look forward to expanding my embroidery stitch set. Still learning. For years I have I "dabbled" with embroidery. About 7 years ago I had a great idea to make a Noah’s ark quilt for my sweethearts granddaughter. 12 emb.blocks with pairs of animals and one large center block of the animal loaded boat. Overwhelmed, I taught him a few basic stitches and he did half. Recently I made a pattern transfer of an old photo with my father and his 4 siblings. Using the transfer I embroidered a redwork pillow cover for my Aunt. I love embroidery and I have more to learn and that makes stitching fun. I’m a beginner and not too neat. My MS often makes embroidery difficult, but I am eager to learn. Definitely a beginner – I enjoy it though. I’m not a total beginner but have more learning to do. Thanks and Happy Resyrrection Day! I love to embroider. I´m a mid embroiderer, I like many techniques. I love embroidery and am always learning. 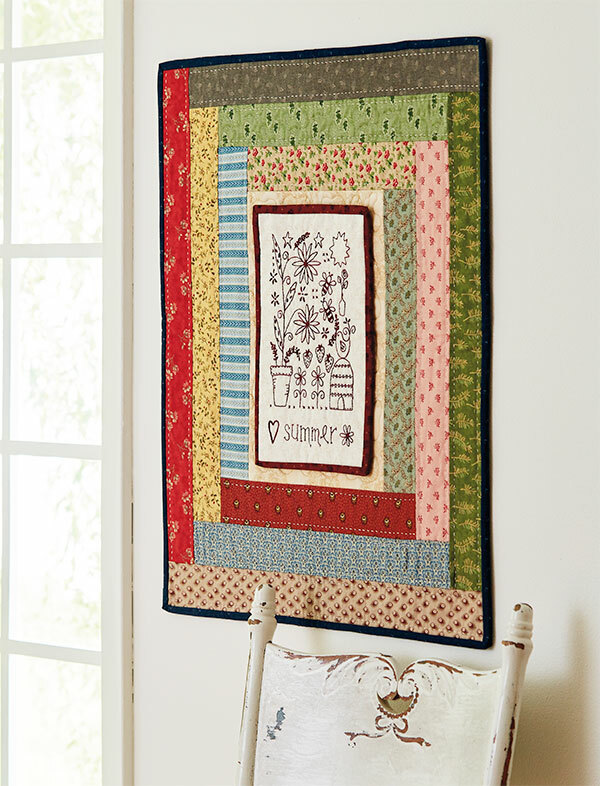 I haven’t done much since quilting but would love to do some of these projects from her book! I like to embroider, but haven’t for some time. This inspires me to pick it up again! Stitches to relearn and new ones to learn. I love embroidery but I’m still learning. While I have tried a little embroidery some time ago, I’m really still a beginner. This book looks like what I need to allow my creativity to grow in a new direction. I know some embroidery. I guess I’d be in the still learning category. Love this pattern thanks for the giveaway. I love embrodiery but am definitely a beginner. I need lots of practice. I love embroidery, and I’m still learning. It’s always fun to more and by doing it more and more my work looks so much better than it used to. I love embroidery and I am still learning! Thank you for this great giveaway! I love embroidery but am not an expert. How fun would it be to win tis giveaway!